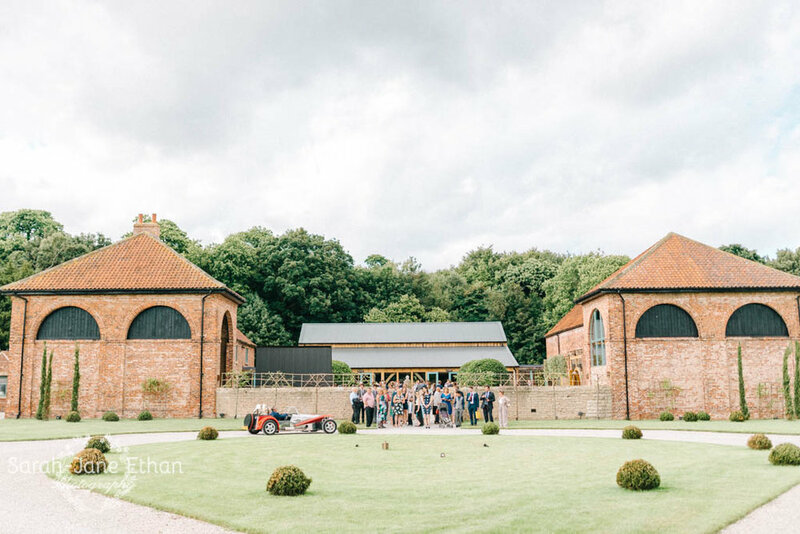 Newlyweds Emily and Andy married at the stunning Hazel Gap Barn in North Nottinghamshire where the venue is enrobed by rolling countryside. 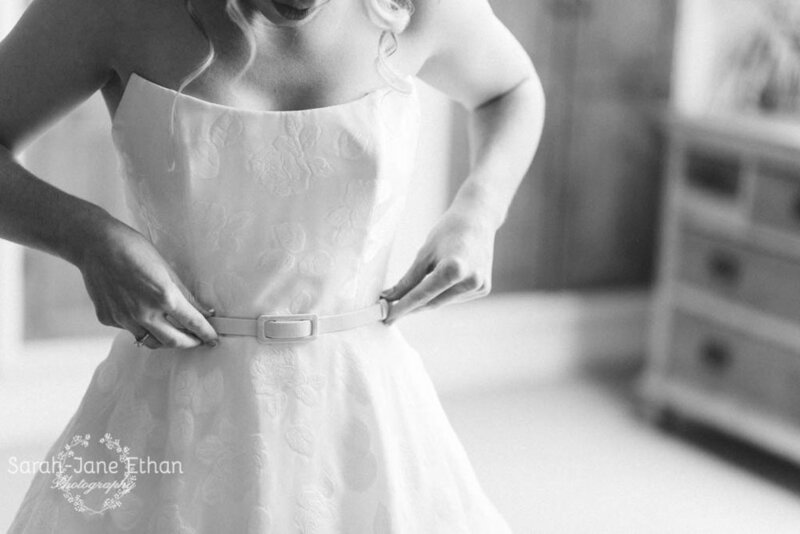 Their wedding photography by Sarah-Jane Ethan is really beautiful and captures the summer light and beauty of the venue in a mix of full colour and black and white. 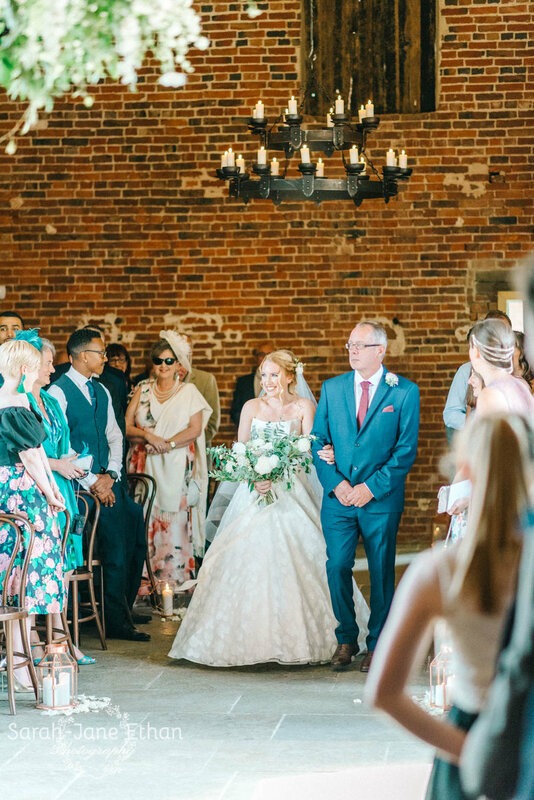 The barn is full of character and can be dressed in so many different styles but the stunning bride, groom and white flower arrangements by FloralDeco are the stars together with the styling services of Save the Date Event Stylist. Emily and Andy found me on Google and loved the stunning simplicity of my now infamous black and gold wedding cake but they wanted it in white, in keeping with their wedding style. See what they thought of their cake here. 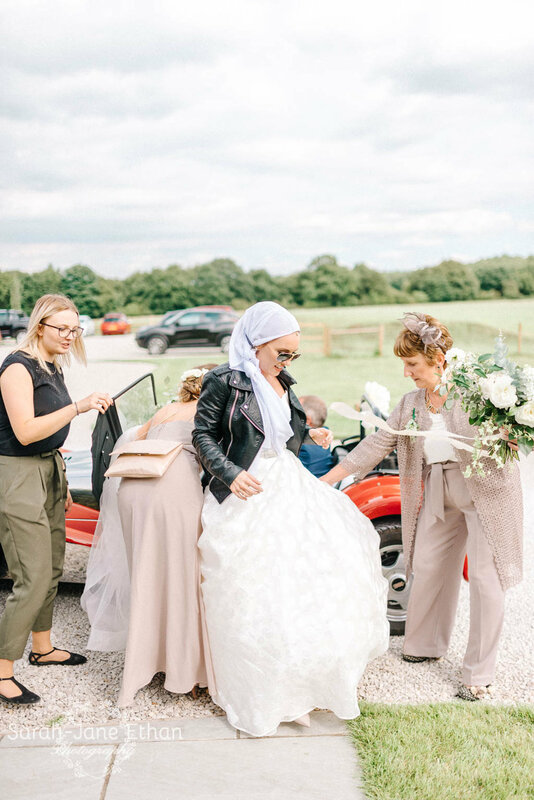 Take a look at how the bride arrived in the best way and how their day unfolded below. 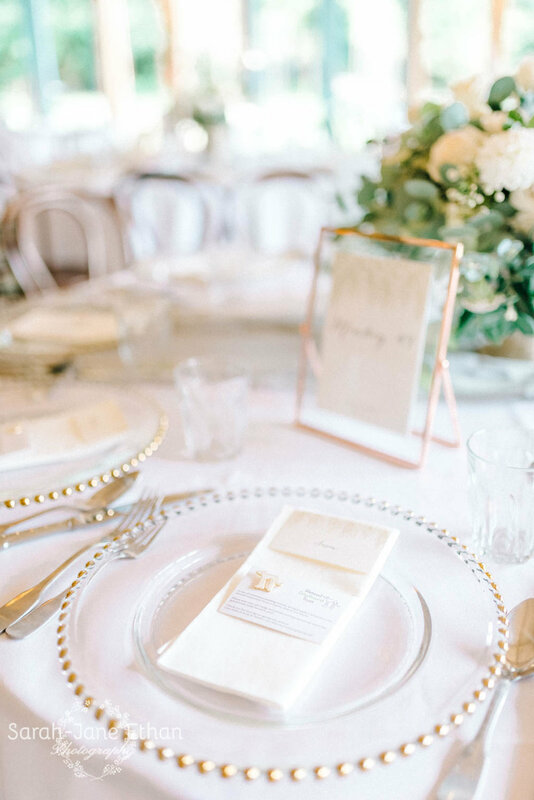 For more information from this beautiful sunny wedding visit Sarah-Jane Ethan Photography's blog here.